Why are Male African American and Hispanic Superintendents Treated Worse Than Their White Male Predecessors? In an accomplished and progressive school system, such as the Metro Nashville Public School System (MNPS) and others, the top priority of the person who runs a city’s school department should be achieving academic excellence. Whether they like to listen to rap, jazz or classical music, their personal hairstyles, attire, choice of cuisine, or even where they choose to live, should not be the primary focus upon which their success is evaluated or measured. Instead, what the people who put them in the spotlight should be examining most closely is whether students are being served and whether schools are truly preparing them for life as productive global citizens. But unfortunately in Nashville, it seems that in many instances, three particular board members and some media representatives feel it is their job to be lifestyle and personality critics. They also don’t seem to have a very good sense of history, nor are they comfortable with people of color in positions of power in the “It City.” That was clearly the case from 2001-2008 when a person of color – highly qualified Dr. Pedro Garcia was in charge, and seems even more evident now in terms of how some folks are responding to the leadership of Dr. Shawn Joseph who just so happens to be another person of color. The Tribune understands that no one is perfect, that all people in leadership positions will be criticized and judged, and we have no problem with accurate and fair assessments or scrutiny. But the problem is the fact that often these personal attacks on Dr. Joseph are neither substantive, nor have anything to do with educational policy or competency in office. Instead, in too many instances it’s about disdain for the color of his skin, his engaging and authoritative personality and an unwillingness to acknowledge or respect his right to do the job he has been tasked to do in the manner he feels is appropriate and correct. Later he added this additional salvo: “I spent the first fifteen years of my life in Cuba living under two dictatorships, Batista and Castro. I saw and experienced hate, violence and abuse. I expected such behavior from tyrants and oppressive regimes. However, I never expected board members and community leaders would become acrimonious and demeaning.” Dr. Garcia called for fundamental changes in the school establishment. To date, it hasn’t happened yet. At no time did Dr. Garcia ever say he should be oblivious to criticism, or that people didn’t have the right to question his policies or express their opinions. But it is quite interesting that the bulk of the criticism he received throughout his tenure was far more personality–based than specific reactions to educational policies or decisions. Fast forward to the present, and we have board members and media types attacking another person of color, Dr. Joseph once again far more on personality than educational matters. Channel 5’s resident anti African Nashville male reporter – Phil Williams last spring felt it newsworthy enough to devote an entire segment to the fact that Dr. Joseph played a rap video that contained explicit and misogynist lyrics, one Williams felt was being aimed at various Metro Board members. He also attacked Dr. Joseph for daring to compare himself to President Barack Obama in terms of being a trailblazer as the city’s first Black Director of Schools. Williams needs to find a dictionary and look up the definition of trailblazer because Dr. Joseph is as much a trailblazer in this city as Williams is a trailblazing investigative anti-black male reporter. There’s also been accusations of Dr. Joseph abusing perks of his office, and concerns raised regarding whether some teachers’ behavioral issues have been thoroughly reported and scrutinized. Now those are legitimate educational issues that have merit and not someone’s choice of music, or whether they should be comparing themselves to a past President. However, there are several positive developments that Dr. Joseph’s critics constantly either ignore or gloss over that are indeed educational issues. Under his remarkable leadership, the district has seen tangible gains in math and reading scores among students in grades 2-8. Their averages are better than the national figures in every area except fifth grade mathematics. His administration has a literacy collaborative constructed to improve early literacy rates by the third grade that has garnered national praise. Now mind you, accomplished all of this in a 2-year period. This situation leads you to ask one question and one question only. What has all of the white male superintendents done in all the years they received a more than $250,000 annual salary plus benefits and perks? The public has a right to know. Let me be clear – there’s a $15 million Magnet School Assistance Program grant that’s going to create five new STEM magnet programs at the elementary level and provide additional educational options for families. 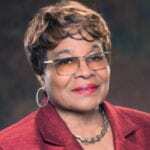 There are many other positive things happening under Dr. Joseph’s leadership, ranging from partnerships between the schools and groups like the Nashville Public Education Foundation and Metropolitan Nashville Education Association, plus improved middle school curriculum programs, the establishment of an Early College High School program in partnership with Nashville State Community College and many others we’ve cited in previous stories. As with Dr. Garcia, Dr. Joseph has been unfairly labeled as “arrogant” (favorite buzzword for any Black man in power ), accused of not delegating enough responsibility to others, and not being willing to collaborate enough with his board members on policy or personnel decisions. Of course many of those allegations are made via the rumor mill or social media. It is much easier to speak off the record or be used as background for nebulous television stories than to go public with criticism, particularly when much of it is personal, has no basis and has nothing to do with job performance. Dr. Shawn Joseph has tackled a tough job and is making progress, despite what his critics want people to think. Far too many of the attacks on him are about the fact some folks don’t like his approach and demeanor, and others resent the fact a Black man is in charge of the school district where white men did nothing forever. When these elements are combined, the results are toxic which is what we are seeing displayed on a regular basis. Remember this – White males led the school system since 1885 and Phil Williams, a trailblazing investigative anti-black male reporter, never attacked any white males who created the mess the school system is currently in. 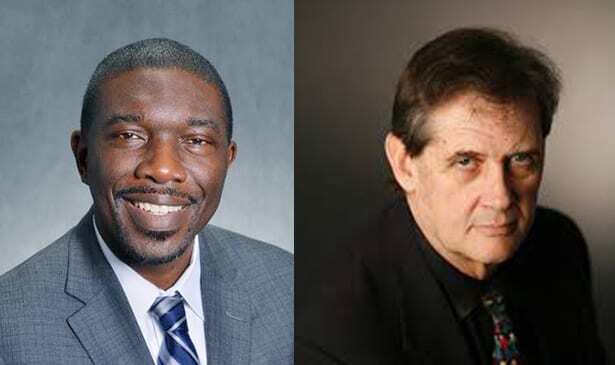 Finally, it took men of color, like Dr. Pedro Garcia and Dr. Shawn Joseph to try to clean up the mess created by white male superintendents since 1885, and in all these years when priviledged white superintendents were in charge, no complaints surfaced from the school board or any mayor. It is unfair that white men had years to do nothing and praised for doing nothing and men of color have a few months to work a miracle. What justice is that in “It City.” All these so -called brains sprewing hate in our community should lend those brains for support of the school system, not destroy it. Enough of this brasserie de sorcières.